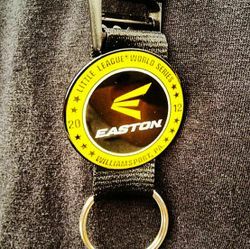 WILLIAMSPORT, Pa. - Easton Sports today announced it will serve as the Official Team Equipment Supplier at the 2012 Little League Baseball® World Series (LLBWS)—taking place August 16 - 26 in Williamsport, PA. Easton will outfit LLBWS participants top-of-the-line Easton baseball equipment including its new Power Brigade bats, batting gloves, shoes and catcher’s gear, providing all participants the chance to maximize their potential. Additionally, every participant will have the opportunity to experience the Easton HIT LAB™—which features an interactive batting system that uses swing analytics to custom fit players’ swings to the correct bat. Participants will receive feedback and statistics based on their swing, helping them choose the right bat for unique swing characteristics. This is the same technology utilized by top NCAA Division I teams, which swing Easton bats in more numbers than any other brand. The 2012 LLBWS will also mark the first time that Easton’s new Power Brigade bats will be swung in competition—with each player custom-fitted for either the S1 or XL1 model using Easton HIT LAB™ technology. The S1 features a light swing weight to help generate more bat speed, while the XL1 expands the hitting zone with an extra-long barrel. To enhance the Easton HIT LAB™ experience, Easton is partnering with Axon Sports to help players better understand and perfect their pitch recognition abilities. Experts from Axon—which focus on the cognitive element of sport by helping athletes “train above the neck”—will provide training using a new mobile pitch recognition app developed by Axon. The new app enables the user to recognize the location and type of pitch based on the delivery from the pitcher. Easton’s lineup of Power Brigade bats has had a profound impact on competitive baseball—quickly gaining popularity at levels of play that adhere to the BBCOR standard. Power Brigade bats are tailored to each player’s specific hitting style, from pure power to contact hitters. As the second generation of Easton’s market-leading bat lineup, the new Power Brigade series offers a variety of two piece composite, two-piece composite/aluminum, and one-piece aluminum bats that enable players to personalize their power like never before. 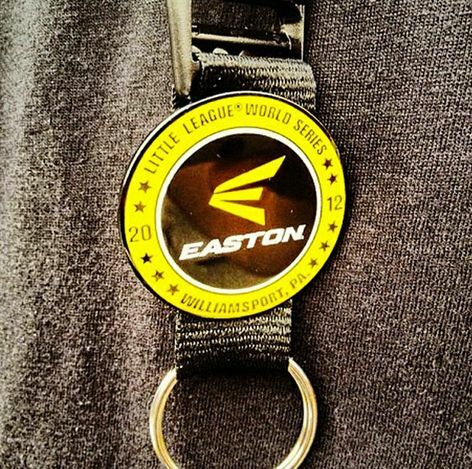 For more information on Easton’s participation at the 2012 LLBWS, including its new Power Brigade bats, Easton HIT LAB, and the Axon mobile app, go to www.eastonbaseball.com/llws.